Dynamos registered a fifth straight league win when they beat Bulawayo City 4-3 in a thrilling contest at the National Sports Stadium. Bulawayo City took a surprise lead in the 7th minute when an alert Rupiya took the ball from Dynamos goalkeeper Mateyaunga as he tried to dribble past the striker. The lead only lasted a few minutes with Obey Mwerahari equalising just three minutes after with a header from a Peace Makaha free kick. On the 18th minute Denver Mukamba put Dynamos into the lead when he slotted the ball into the back of the net from Carlos Rusere’s free kick. Dynamos headed into the halftime break with a deserved lead. Two minutes after the break Rupiya was on the score sheet again when he took full advantage of a lapse of concentration from the Dembare defence to equalise. Dynamos though refused to back down and Christian Epoupa restored the lead shotting into the roof of the net from inside the area. Lincolin Zvasiya then made victory sure when he slotted in the fourth into the far left corner after receiving the ball from Denver Mukamba. 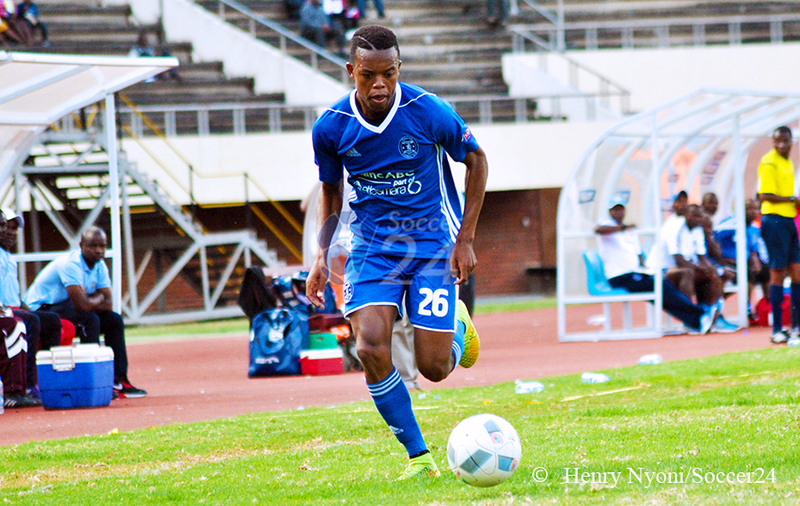 Bulawayo City did manage to pull another goal back in the 82nd minute but Dynamos had done enough to clinch another three points. 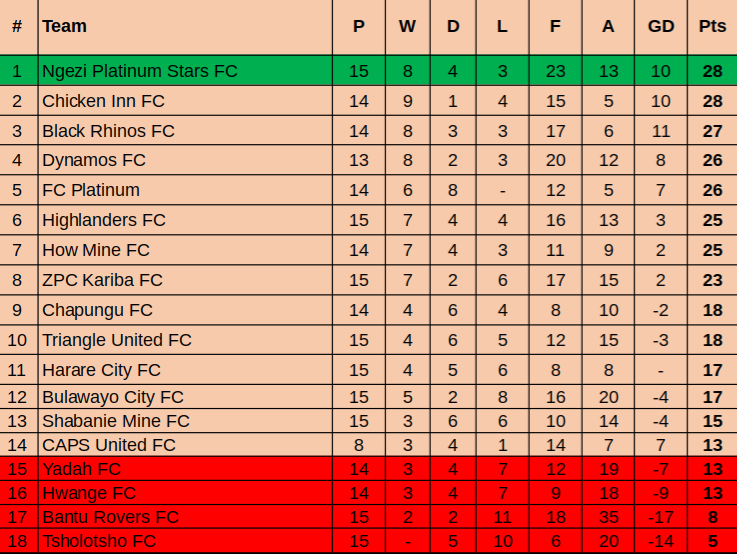 The result take Dynamos into fourth spot with 26 points and if the verdict of the match against Chapungu is in favour of Dembare they could move onto 29 points. At Barbourfields stadium Highlanders were unable to go past How Mine as they two sides played out a goalless draw. Ralph Matema and Tendai Ndlovu came closest for Highlanders as they struck the post in the second half. Black Rhinos suffered their first home defeat of the season when they went down 2-1 to Harare City at Morris Depot despite taking the lead. Hwange beat Shabanie 2-0 at the Colliery with Tendai Mathe and Justin Kaunda on target for the home side. At Gibbo Stadium Dzingai Chirambamuriwo’s strike was enough for Triangle to edge ZPC Kariba 1-0. Bantu Rovers suffered their 11th defeat of the season when they went down 1-0 to Chapungu at Luveve Stadium.